Sign up for Blythe Valley Parks old school sports day! 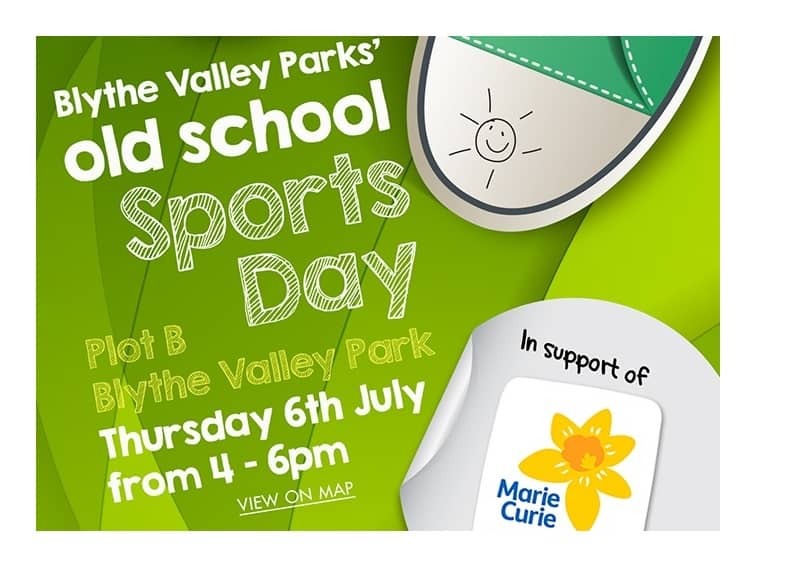 Join us at our Blythe Valley Park sports day and help to raise money towards our Marie Curie target for 2017. There is a minimum of 10 people per team – and a maximum of 16 teams able to sign up for this event. We will have fantastic street food on site, deck chairs, music AND the winning team will win a mystery prize for all to enjoy! Don’t miss out – sign up now!